Prime Minister Sheikh Hasina on Saturay urged everyone to stop violence against children and child abuse. “We are pledge-bound to make our beloved motherland as a safe habitat for the children . . . I urge everyone to stop violence against children and child abuse,” she said in a message on the 99th birth anniversary of Father of the Nation Bangabandhu Sheikh Mujibur Rahman and National Children’s Day. She sought an immense role of parents, family and society in achieving the goal of the present government, which is relentlessly working to make children’s lives colourful as the Father of the Nation had a limitless love for the children. “Bangabandhu added special provisions in the constitution with regard to the responsibilities and duties of the state to the welfare of children. In 1974, he enacted children laws and made primary education compulsory,” she pointed out. 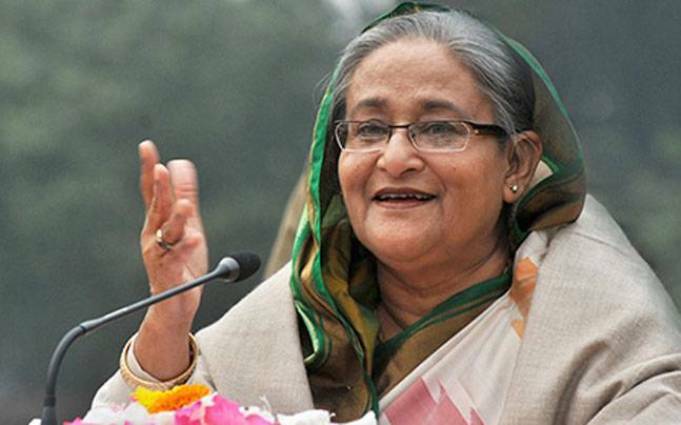 Referring to Bangabandhu’s long political career, Sheikh Hasina said his prime aim was to liberate the Bangalee nation and bring economic freedom. “I pay my deep homage to the greatest Bangalee of all time, Father of the Nation Bangabandhu Sheikh Mujibur Rahman on his 99th birth anniversary. The day is our National Children’s Day. I convey my best wishes to the countrymen, especially the children, on this auspicious occasion,” she said. The prime minister said the present government is undertaking and implementing various initiatives for the welfare of the children. ‘World Children’s Day’ and ‘Children’s Rights Week’ are being observed at national level to protect child rights and to ensure their safety. National Child Policy-2011, Child Act-2013, Child Marriage Prevention Act-2017 have been enacted while National children’s day, child marriage prevention day, street-children rehabilitation and various activities for children with special needs have been undertaken. Hasina said various programs related to safety, food and nutrition, shelter and protection for children and basic needs like education and health are being implemented along with sustainable development under the social safety net program to prevent child labour. “Free textbooks are being provided to the students at the beginning of the year. Almost 100 percent children are now going to school. We have published books based on life and work of the Father of the Nation and added original history of liberation war in the textbooks for the children. Children are being involved in art, literature, culture and various branches of sports in order to infuse patriotism, build personality and develop their confidence,” she mentioned. “Let us dedicate our present to the welfare of the children. Let us build Golden Bangladesh as dreamt by Father of the Nation,” the premier said.